After multiple record setting months in the GTA early last year, the government decided to implement their “Fair Housing Plan” to try and reign in the market in Ontario. The effect was felt almost immediately as prices plummeted nearly 20% within a short time and volume of transactions dried up nearly overnight. 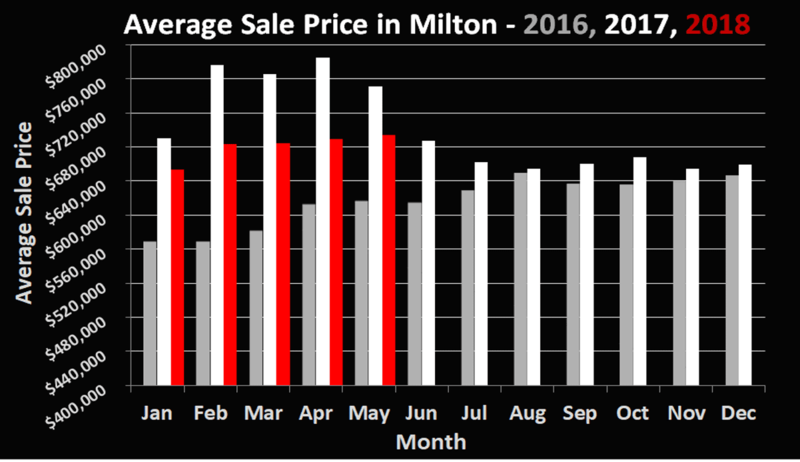 Now one year later, the markets appear to have recovered nicely, and we are happy to report that the average sale price of a house in Milton is once again at the highest level seen since May 2017. Last month, we recorded 188 sales (down from 227 last May) at an average sale price of $693,840. If you’ve been waiting to buy, now may be a great opportunity. Many properties are selling with single offers and conditions. With interest rates expected to rise, affordability may now be as good as it is going to get. This likely won’t last for very long if the example set in Vancouver 2 years ago year was any indication; prices over there are once again above record levels. 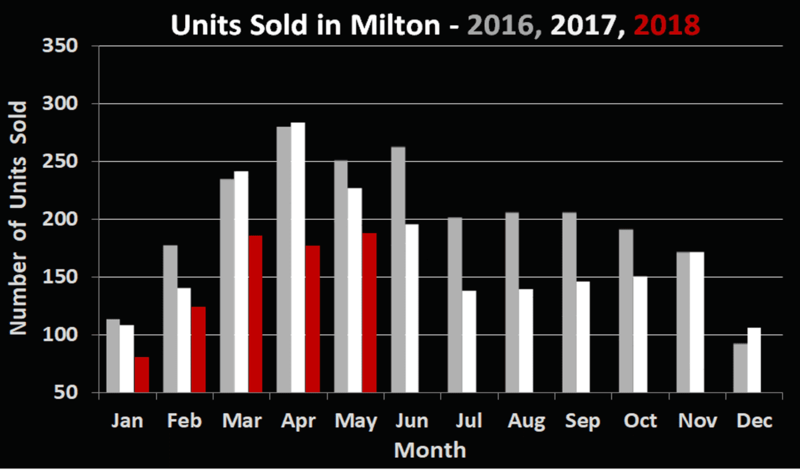 Current inventory levels are average for this time of the year, with roughly 2 months worth of supply now on the market. If you’re concerned about the stress test and your current mortgage approval isn’t where you’d like it to be, give us a call and we made be able to provide some more viable options on the financing front. We always have time to talk real estate!